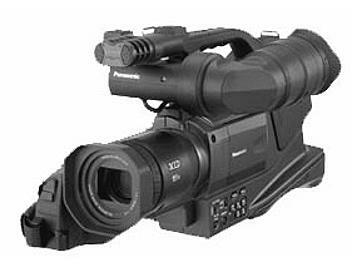 The Panasonic AG-DVC62E is a 1/4-inch 3CCD DV shoulder-type camcorder. Leica Dicomar 16x zoom lens. 12-bit A/D converter. Infrared nighttime recording mode. Slow shutter.